Should I use an Arizona exclusive buyers agent? 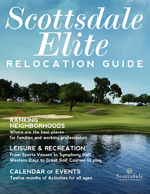 There is no additional cost involved to have an Scottsdale buyers real estate agent represent you. The builder cannot give you any cash back because you are not licensed as a real estate agent. It would be illegal, so therefore the builder cannot give anything back to you, the buyer. Knowledge and history of various developments help match the buyer with the right community. Knowledge of builders' pricing strategies helps buyers determine best negotiating strategy. Knowledge of other builders of equal and greater quality help buyers get the best builder for the money. In many cases, lower prices or other concessions are offered to buyers with buyer agents, as builders consider these agents as "multiple sources of buyers." Individual buyers buy only one home; buyer agents may bring in many buyers.